Everything you could want from a mascara, and then some more. 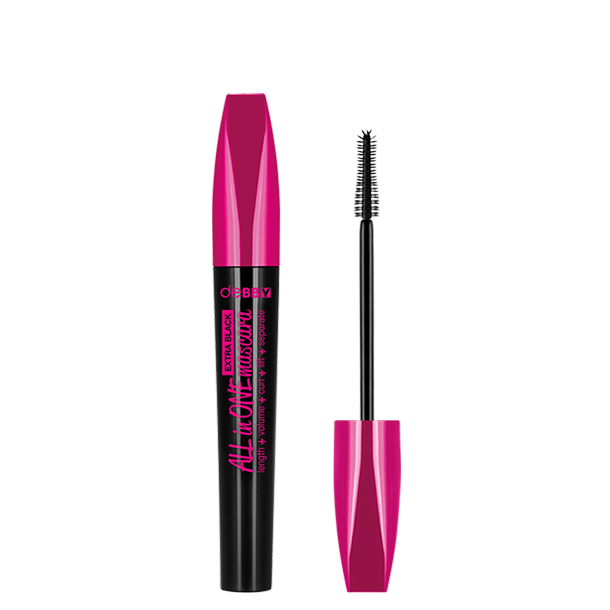 ALL-in-ONE Mascara also comes in EXTRA BLACK, to give your gaze even greater depth and intensity. Eyelashes gain amazing length, definition, curl and volume. Formulated with Carbon Black for blacker-than-black colour. The spiral applicator using thermoplastic elastomer gives each lash a 360° coating. Fragrance free. Paraben free. Ophthalmologist tested. IL090318N INGREDIENTS: AQUA, PARAFFIN, CERA ALBA, PROPYLENE GLYCOL, TRIETHANOLAMINE,COPERNICIA CERIFERA CERA, ACACIA SENEGAL GUM, PALMITIC ACID, STEARIC ACID, GLYCERYL STEARATE, PEG-75 STEARATE, GLYCERIN, TRIMETHYLPENTANEDIOL/ADIPIC ACID/GLYCERIN CROSSPOLYMER, HYDROXYPROPYL METHYLCELLULOSE, RICINUS COMMUNIS SEED OIL, TOCOPHEROL, ACRYLATES COPOLYMER, HYDROXYETHYLCELLULOSE, CELLULOSE, MICA, HYDROGENATED POLYCYCLOPENTADIENE, POLYAMIDE-5, TETRASODIUM DISUCCINOYL CYSTINE, PVP, POLYETHYLENE, DECYLENE GLYCOL, SODIUM DEHYDROACETATE, PHENOXYETHANOL, CI 77891, CI 42090, CI 77499, CI 77266(NANO).